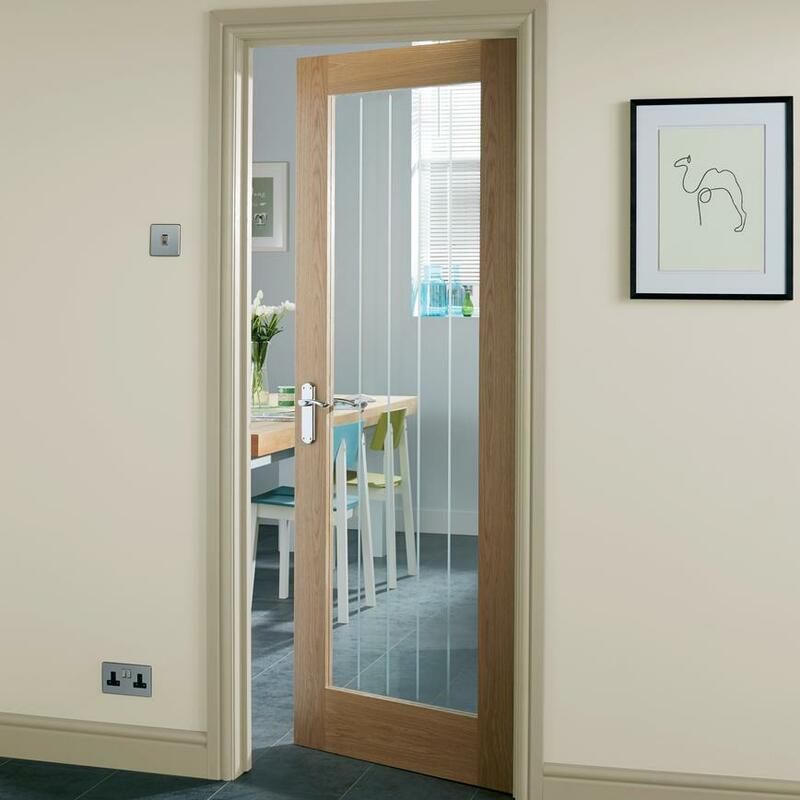 Give your home an open-plan feel with the generous glass pane of our Genoa Oak glazed door. 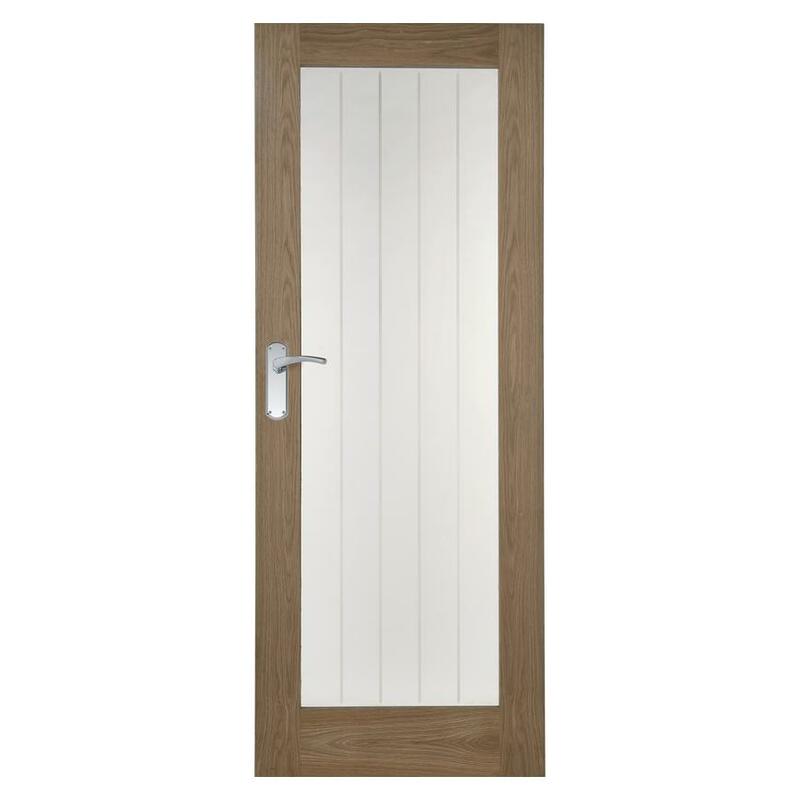 The glazed version of our Genoa Oak door features a large pane of glass that gives a more versatile, modern look and lets in plenty of natural light. The glass is toughened and etched, with vertical lines that are reminiscent of the tongue-and-groove design of the Genoa range. This door is supplied ready to finish with varnish, stain or Osmo Oil. This door may have double lipping comprised of an internal 6mm finger jointed lipping and 5mm solid oak lipping outer. This is 11mm in total but we only recommend trimming into the outer solid lipping to a maximum of 3mm on any edge.